Decent, compact microwave, offering good value. No clock feature. The Sharp R270WM is essentially the same model as the Sharp R270KM, but is finished in white instead of black. This white solo microwave feels pretty solid to the touch, with good build quality, and offers 20 litres of capacity. The turntable fitted is 27.2cm in diameter, and constructed from glass for easy cleaning. The controls are situated to the right hand side - and although there are a lot of different options, they are well labelled, and overall were easy to operate. Overall power output is 800w, with 10 different power levels, 8 auto cook menus and 2 defrost options. 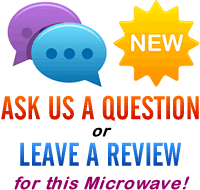 Overall measurements for the microwave are 45.2cm by 26.2cm by 37.0cm, and 31.1cm by 21.1cm by 28.7cm for the interior cavity. The digital LED timer goes up to a maximum of 99 minutes, which should cater for the majority of users. Unfortunately this model seems to be missing a clock - which may rule it out for some users - asides from that we liked this Sharp microwave - it looks smart, works well and will suit the majority of kitchens. 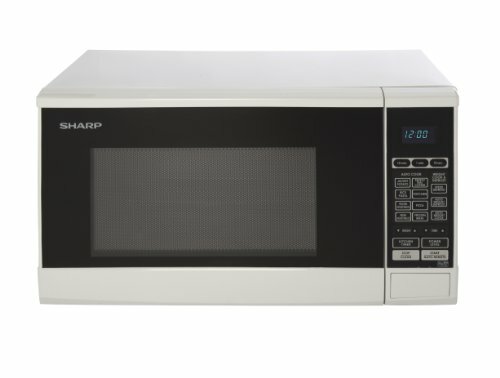 Overall the Sharp R270WM microwave offers pretty good value - with a modest 20 litre capacity, 27.2cm turntable, and 800w of power. Works well, and looks smart.